This was the book that introduced me to the work of Marilyn Nelson. I was doing some research on the Coretta Scott King Awards and that is how I discovered this title which received an “Award for Author” Honor in 2006. Something about the way it was described compelled me to request it and I found it so incredibly heartbreaking and moving. The art that accompanies the piece was also very well done. At the end of the book there is an explanation of the poems (something Nelson does regularly and which is a feature I love) in addition to an explanation of the art. This poem tells the story of Emmett Till’s murder while also reminding the reader of his humanity – it’s so easy to just hear the name, remember the story, and not think about him as a boy living in the world, as a son, as a man who didn’t get the chance to grow up. 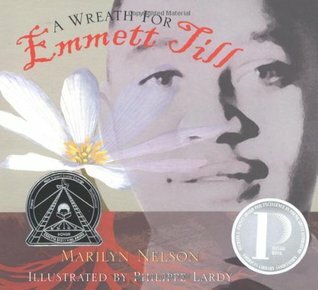 A Wreath for Emmett Till is aimed at younger readers and I think it powerfully combines history and poetry in a way that quickly captures the reader’s attention. This is one of those books that will find its way to my permanent book collection so I have it on hand when my daughter is old enough to read it. It’s hard to say I “enjoyed” it given the subject matter, but it was beautifully done and led me down a Marilyn Nelson path for which I am so grateful. I had been eagerly anticipating the publication of this book for a while. This is primarily because it was getting such great buzz but also because it’s author is COO for We Need Diverse Books (a non-profit I love) and I was curious to see what she had in the works. This book is the first in a series and I promise that I am compelled to keep up with it. I was honestly surprised at just how much I found myself drawn into the book. 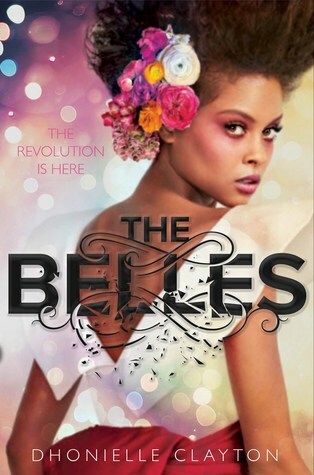 Set in a future world known as Orleans we are introduced to a group of 6 girls known as “The Belles.” These girls are responsible for bestowing beauty on the people of Orleans, a population that is born grey and ugly, with red eyes and straw-like hair. The notion of beauty changes based on the royal family and the looks that the Belles come up with. There are no limitations based on skin color, hair texture, body size… it’s all based on what the individual wants and believes to be a notable look. Our primary Belle is Camellia and it is through her experiences that we get insight into what is expected of the Belles in addition to uncovering the dark secrets embedded within the royal family. As I mentioned earlier, I’ll be keeping up with the series. I’m frustrated that I’ll have to wait since I started the first book almost as soon as it was published. I did note some parallels between details in this book and those from The Hunger Game series but the book stands on its own. And you’ll appreciate the lush descriptions Clayton offers up when referring to everything from food to clothing. For a good review of the text that pairs well with my reading of the book feel free to check out Roxane Gay’s post on Goodreads. I was first exposed to Elizabeth Acevedo through her spoken word poetry and I kind of fell in love with her. When I found out she was going to be publishing a book I immediately put it on my “to-read” list so I was pumped when I got the chance to read an advanced reader copy of the title. Unsurprisingly, this is a novel written in verse. The “chapters” are short but pack a punch. It’s easy to want to read quickly but at the same time you appreciate what Acevedo can do with language. I really enjoyed this and think it will do well when it’s officially released in March. I strongly encourage anyone to check out her work. 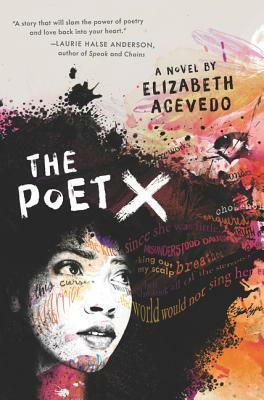 And if you’re into YA, poetry, and appreciate the written word you’ll tear through this novel. This is a book one of our ESL classes is reading and I get to help out with classroom discussions. I was familiar with this title but didn’t know anything about it until I actually started reading. The novel revolves around a college freshman named Marin. She was born and raised on the west coast but she’s living an isolated life at a college in New York. We know something traumatic has happened but we don’t have much insight into what. Only that whatever it was has left her essentially stripped of her identity. The novel is told in flashbacks between the end of her senior year and the present (December). We learn about Marin’s unique relationship with her grandfather who she has been living with since her mother died when Marin was just a toddler. We learn about Marin’s best friend, Mabel, and how their friendship flourished… But we also learn that Marin and Mabel are no longer talking and it’s because Marin has effectively cut ties with her former life. We Are Okay is a novel about grief and about trying to find your way back to yourself when you’re not even sure who that is anymore. I definitely see the appeal of this quiet coming of age story. 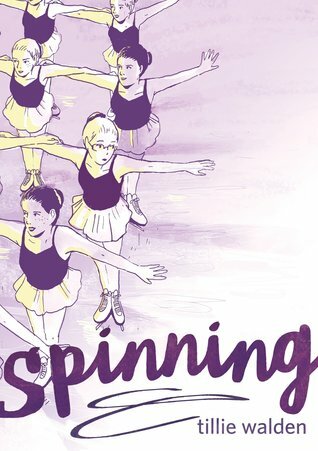 This autobiographical graphic novel follows Tillie Walden through her teen years starting when her family moves to another state, and she is forced to join a new skating rink and get used to a new group of girls. With an emotionally absent mother and parents who never attend her skating events, Tillie becomes the target of other girls’ mothers who continually stare her down and accuse her of not paying for lessons. Tillie also experiences bullying by other girls, sexual harassment by her SAT tutor, and loss of a first love. She finds solace in a few close friends and her cello teacher. Not too many good things happen to this poor girl except that she’s a good skater, but she doesn’t always succeed at that. There isn’t really anything intriguing about this story, but it was interesting enough that I continued to read it; maybe I was hoping it would get better for her. Recommended if you like graphic novels, but not if you’re looking for something really exciting to happen.